There are not many pure stands of cycads in the world. 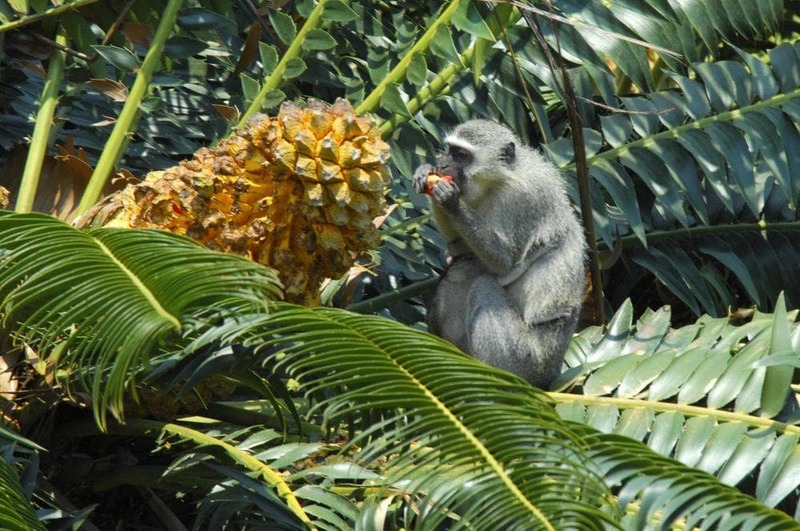 One of the most impressive ones is Modjadji Cycad forest in South Africa – beautiful monument of natural and human history. One can not tell the story of Modjadji cycad forest without telling the story of Modjadji rain queens – a living legend which continues up to this day. Sometimes in the 16th century in the nearby Zimbabwe, in Monomotapa kingdom the princess Dzugundini fell into disgrace and had to escape. According to legend her father, king of Monomotapa, gave to her a precious gift – a horn with magical rainmaking powers. Dzugundini together with her loyal followers escaped from the public anger – she crossed Limpopo River and went further south. After lengthy trip they reached forested hills and decided to stay there. They established a new village and for a while this commune was governed by male leaders. But, as rivalries started between the families, it was decided to return to female leadership. In 1800 started the reign of the first rain queen – Modjadji (“ruler of the day”). Since these times the local tribe – some 2 million Lobedu people – are governed by female rulers. The status of rain queen is inherited by her elder daughter. The kingdom of Lobedu has distinct identity and traditions which are obeyed in contemporary South Africa. Rain queens reigned without serious interruptions until 2005, until the sudden death of the young queen Makobo Modjadji VI. 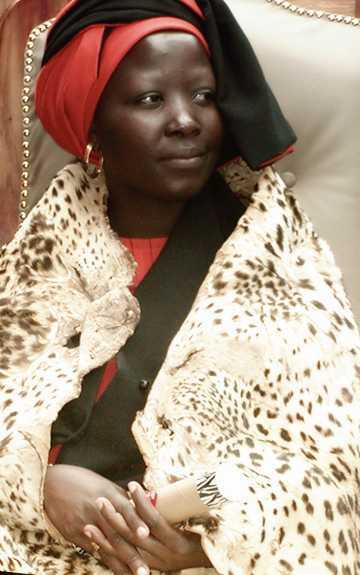 A period of disarray in the royal family started and only in 2018 was celebrated the new rain queen – Masalanabo Modjadji VII. Kingdom is experiencing modernization – the previous rain queen wanted to live together with her beloved one and this caused much confusion and conflicts as it was against the traditions. Lobedu up to this day are the only people in Africa governed by the dynasty of female monarchs. It is believed that rain queen has magical abilities to call rain and thus she is both the ruler and an important religious figure. Even more – according to local beliefs rain queen can eliminate the enemies with storms and floods. Thus Lobedu people did not need any army – the magic of rain queen took care about the defense. Surrounding tribes often brought rich gifts to the Modjadji palace to make a favor and to feel somewhat safe from the wrath of rain queen. Up to this day the abilities of rain queen are tested in a yearly rainmaking ceremony in Ga-Modjadji village at the foot of the sacred cycad forest. For most part these tests are successful – rain comes. This can be explained by the magic but somewhat helpful is the rainy climate in these hills. Rain queen communicates to her people only through her male councilors. By the way, if yearly rain ceremony does not succeed, only councilors are blamed, not queen. The unusual story of rain queens inspired one of the greatest authors of adventure stories H. Rider Haggard and helped to create his best known works “King Solomon’s Mines” (1885) and “She: A History of Adventure” (1887). Haggard though did not include beautiful environment of the real life: the sacred cycad forest of rain queen. But this forest exists – lively and overwhelming. 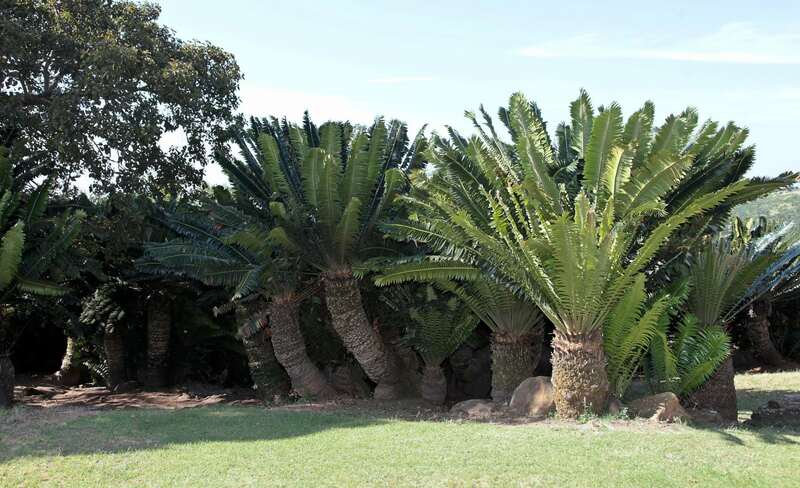 Modjadji cycad forest is the only pure stand of these ancient plants in the southern part of Africa. Here grows one of the most beautiful cycads – Encephalartos transvenosus. This is one of the largest cycads which grows up to 12.2 m tall and its stem reaches a diameter of 0.4 – 0.45 m. Trees have beautiful, shiny green leaves which are up to 2.4 m long as well as giant cones which are up to 40 kg heavy and up to 1 m long. 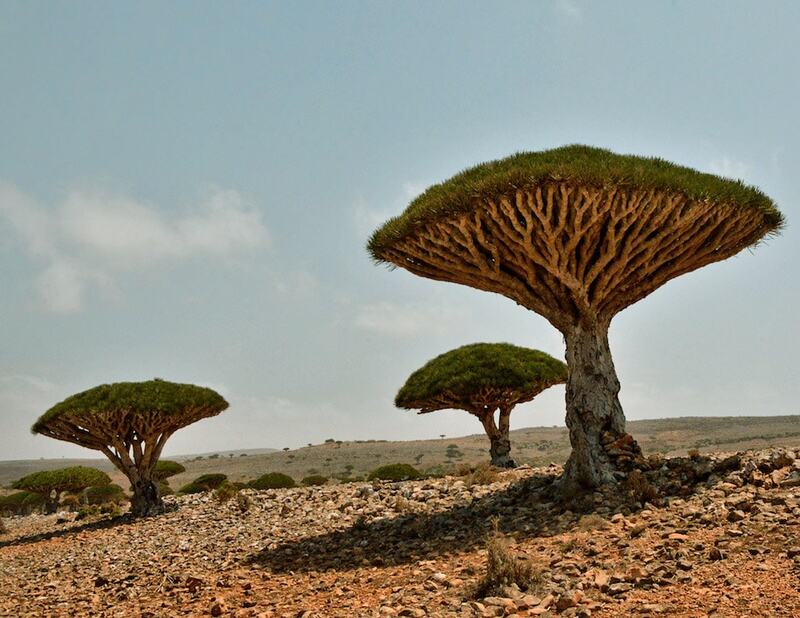 Forest of these plants is very unusual – this could be the forest of prehistoric times when dinosaurs were still alive. Encephalartos transvenosus is found only in a little area of Limpopo province and most of plants grow in Modjadji forest. Here are some 15 000 adult plants as well as numerous fresh sprouts. This is one of the largest cycad forest in the world – but not the largest one – there is even larger one in China. Local people have protected this sacred forest for generations and continue to do this now. Unfortunately, sometimes smugglers manage to steal adult plants form the forest – this cycad is highly valuable decorative plant. Nevertheless common tourists are welcome here. Lobedu people have developed a network of day trails, here is information center and souvenir shop. Rain Queens of Africa. Accessed in the 21st September 2018. 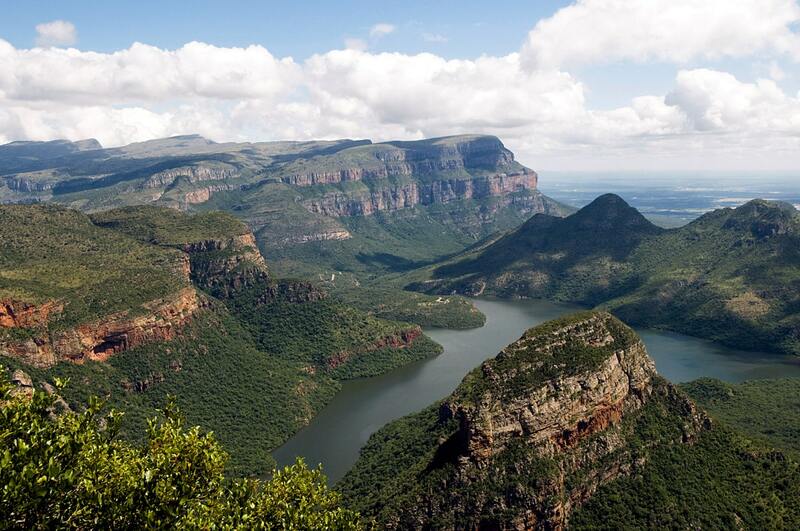 South Africa is extremely rich with unusual archaeological and natural monuments. Highlights are the rich finds of rare minerals, unique ecosystems, finds of the first humans and some great waterfalls. With Cycads of the World, David Jones has achieved that difficult task of writing a scientifically accurate text, which is both easy to read and to understand.